Flow Disc Assortment Set of 6 flow discs (2 ea. - 1/2, 1 and 2 GPM). 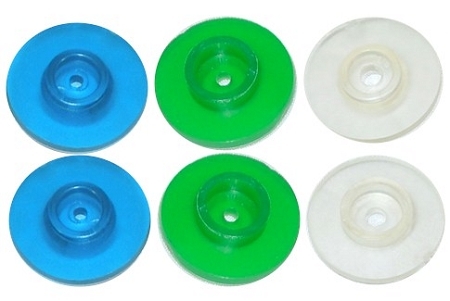 Home > Accessories #130 - Flow Disc Assortment Set of 6 flow discs (2 ea. - 1/2, 1 and 2 GPM). (2 ea. - 1/2, 1 and 2 GPM). Flow discs help regulate the flow (not the pressure) of water into the soaker hose. Usually installed on soaker hose lengths 50' - 400'. This helps ensure a more equal water distribution from end to end. You would use a flow disc when you are receiving more water at the beginning of your soaker hose run. Install on the female hose end of your soaker hose system, by removing garden hose washer and replacing with flow disc. Click on the photo below, to better understand. 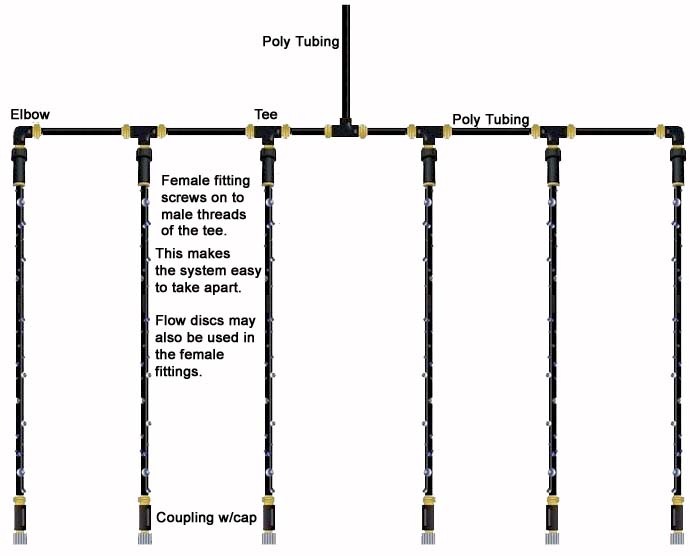 Instead of inserting your soaker hose into the tee, you are going to insert it into the compression end of the female fitting and then screw the female fitting on to the tee.